A well-known feature tree in Montgomery Park Scenic Reserve, a remnant of the plentiful mixed broadleaf/podocarp forest that used to cloak Bank's Peninsula (Smillie, M.J. 2017). Straight shot to highest visible top, in rapidly fading light. 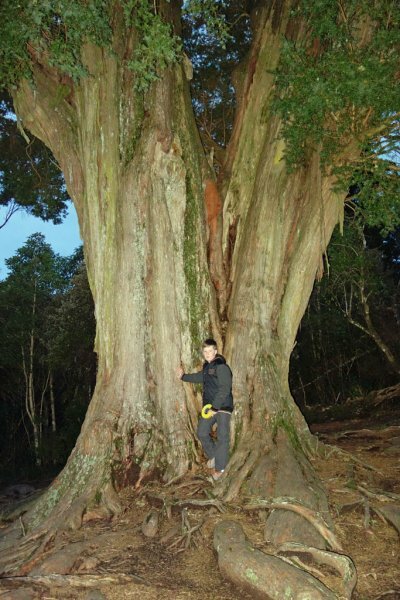 Typical of large old totara. Large root flare and girth accentuated by bifurcation at ground level. 20 Aug 2017 Smillie, M.J. & J.L.G.